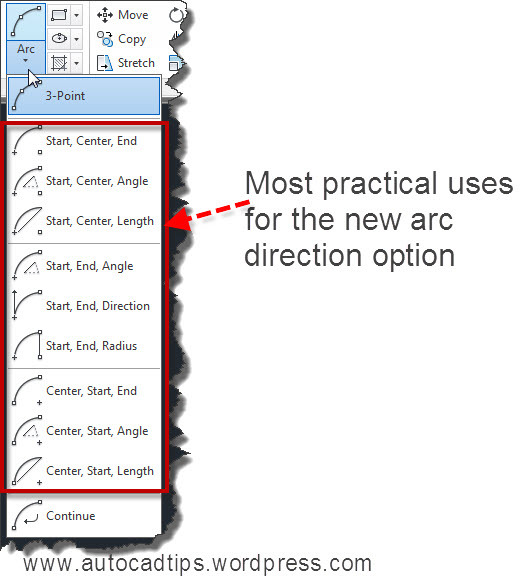 With AutoCAD 2014, the ARC command has a simple-but-needed improvement. 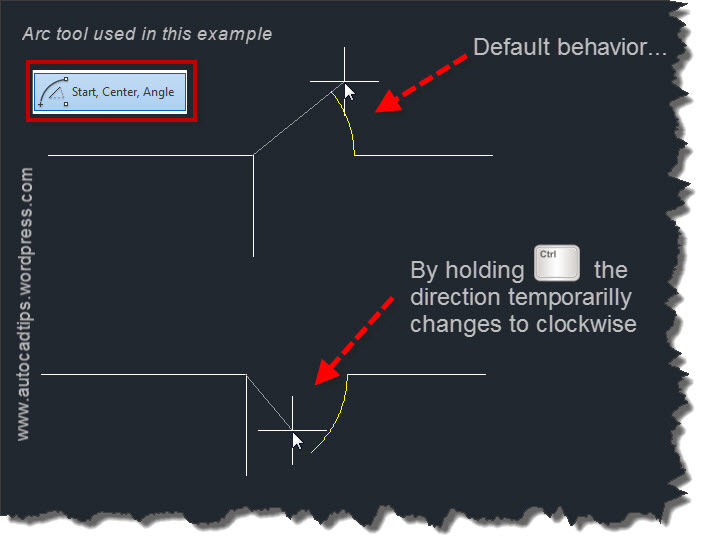 By default in AutoCAD, arcs are created counter clockwise. With 2014 you can control the creation of arcs to be clockwise or counter clockwise by simply holding the CTRL button. Simply opening the Arc tool’s flyout, there isn’t any obvious, visible change. Although the new ARC direction option is available in all of the various arc tools, the most practical and obvious uses of the new ARC direction option are found in the ARC options shown below. This entry was posted in BASICS, New in 2014, TIPS. Bookmark the permalink. Wow it only took 30+ years to fix this. Now if they can only make it repeat the same type of arc more than once in a row. Doubt I’ll be alive by then. Thanks! It’s a great tip… very useful. Do you know how can I change the default drawing of an arc? I want to draw an arc Center, Start, End, everytime I type “arc” in the command line, and I cannot find how change this default behaviour.